Sanibel Sea School will offer an opportunity to explore by boat this fall. 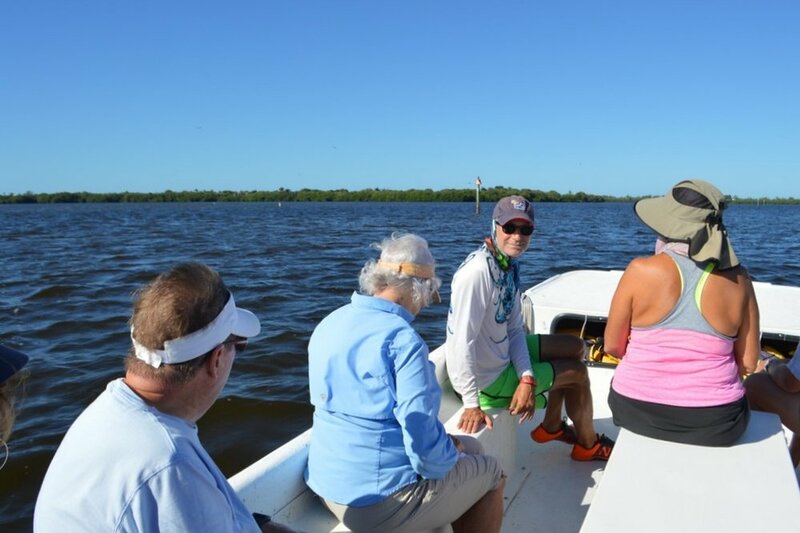 Beginning in October, Sanibel Sea School will once again offer a series of boat-based classes for adults. Led by marine biologist Dr. Bruce Neill and his team of marine science educators, each three hour experience will focus on a different ocean related topic, and will take place from the comfort of a large pontoon boat. Boat-based classes are open to adults ages 18 and older, and prices vary. A complete schedule will be available soon at sanibelseaschool.org. To receive updates via email, please send a request to info@sanibelseaschool.org. Sanibel Sea School is a 501(c)3 nonprofit whose mission is to improve the ocean’s future, one person at a time.